A group of cyber activists who refer to themselves as 'Anonymous' have taken full credit for a cyber attack on a US Government website, which has led to a leak of several employee data. 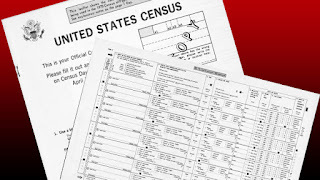 Anonymous has taken credit for hacking the United States Census Bureau website and have published the data which includes names, telephone numbers, email addresses, addresses and the ranks of employees within the US Government. The breached and published data also consists of the much difficult but yet not impossible to crack password hashes. 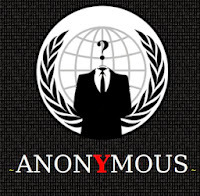 Anonymous claims that the reason behind the hack is the Trans-Pacific Partnership and the Transatlantic Trade and Investment Partnership which stands Numero Uno in the list of priorities for the American administration and claim a progressive reform in the politico-economic platform of the nation, by creating an alliance with the major Atlantic and Pacific nations. 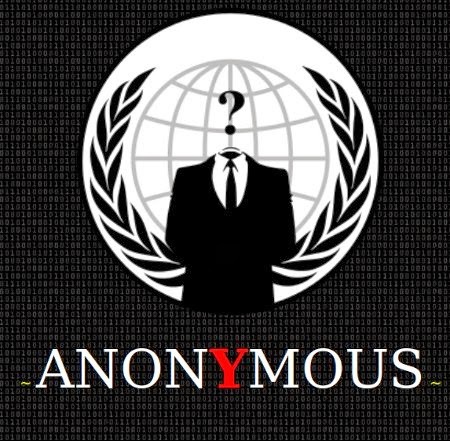 Despite of the numerous opposition the twin pact has gathered in this short period of time, Anonymous is the only group that has raised its opposition vocally. However, the data breach is not one the most feared activities that the government could with at the moment, such as a massive data breach in the Office of Personnel Management; it is nonetheless embarrassing. The US Census Bureau, in an emailed statement has confirmed the data breach and that a investigation has been initiated by the IT forensics team. The bureau spokesperson has launched a statement that none of the stolen data 'confidential'. Now a more lucid investigation can only tell if the data that is being published online is a federal threat or not. 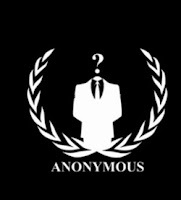 Anonymous hacktivists has leaked a number of documents which is said to have compromised from the personal computers of regional administrations, mainly presidents of Calabria, Lombardia, Sicilia, Toscana, Campania and Puglia. The leak is only the first leak in series of leaks targeting Italian regional Government. This first leak contains documents compromised from personal computer and mobile devices of Giuseppe Scopelliti, an Italian politician and a member of The People of Freedom political party. nor he did anything to at least look like trying." hackers wrote in cyberguerilla website. 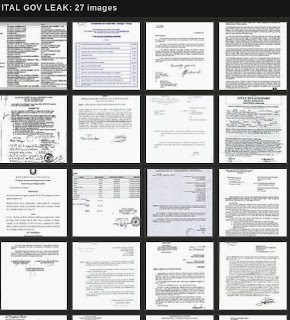 The hacktivists have posted a 400MB archive file containing 1000 documents and Gallery of 27 documents. "This is just a beginning. People of Italia do have the right to know what the government is involved in, especially when it comes to mafia wars and corruption in the region." hackers wrote. A 12 year old school boy from Quebec has admitted hacking several government and police websites as part of Anonymous operations in spring 2012. According to Toronto sun report, the boy whose name can't be published is said to have involved with computer since he was 9 year old. His actions were not politically motivated. He traded the pirated information for video games. The hacker is said to have hacked websites including government sites of Chile, Montreal Police sites, , the Quebec Institute of Public Health and some other websites. Court heard he used different cyber attacks including defacing websites, compromising data from servers and Denial of service attacks. 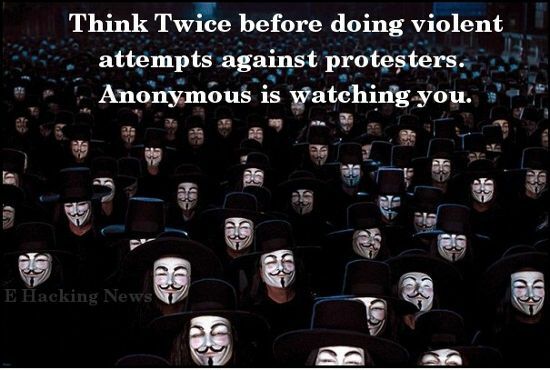 November 5 is Guy Fawkes Day on which Anonymous hacktivists and activists from all over the world participate in various protests. According to Softpedia report, the famous Turkey hacktivists "RedHack" and the world famous hacktivists "Anonymous" have said to have teamed up for the Nov 5 protest. The operation has been dubbed as "Operation Direnis(#OpDirenis)", "dirensis means "resistance" in Turkey. Interestingly, the individuals claimed there will be no defacement, data leaks or any other cyber attacks! “Both Anonymous and RedHack are not solely based on hacks, leaks or the exposure of corrupt officials. The very core of both groups are based on activism, in where upon protesting and rebellion is an act of not chaos or anarchy, but of justice, truth and liberty,” the initiators of the operation stated. 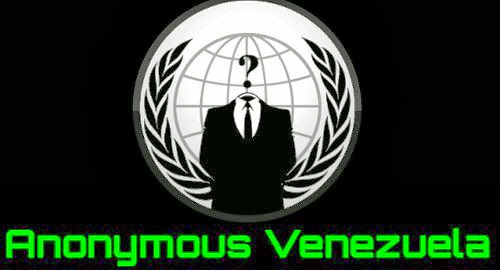 The Anonymous Venezula has hacked into a number of Venezuelan government websites that includes Military website. The list of affected websites includes hidropaez.gob.ve, Military Technical Academy(atmb.mil.ve), Military Counterintelligence Directorate(dgim.mil.ve), Aragua Police website(policiadearagua.gob.ve), Municipal Police of Vargas(policiamunicipalvargas.gob.ve). The group also hacked one educational website "University of Falcon(udefa.edu.ve) . "Good day Venezuela. What seemed to them the night and early morning we offered? In the next few days are a lot more action ;)" The tweets posted by the group reads. "We are not criminals, we are just citizens voicing their dissatisfaction with this crap called "government". Politicians Tremble!" At the time of writing, most of the websites are still showing the defacement page. Anonymous hacktivists have hacked into official website of Jordan's Prime ministry in a protest against raising taxes and prices. The website was defaced with a message in Arabic to Prime Minister Abdullah Nsur. "Hi uncle, how are you? We are sorry, we hacked your website. Are you upset? We feel much worse when you raise prices. The people know this feeling but you do not," the defacement message reads. According to Voice of Russia report, the website has been restored after it was hacked for several hours. The official claimed to have identified the attackers. Italian Police have arrested four suspected Anonymous hackers who are believed to be the hackers who participated in the "Tango down" operations. Four men arrested are a 43-year-old man from near Lecce, a 20-year-old from Bologna, a 28-year-old from the province of Venice and a 25-year-old from the province of Turin. The four individual part of hacktivist movement are being accused of various attacks including a Distributed-denial-of-service(DDoS) attack against the Vatican government websites. The police said the group also hacked into organizations for selling their IT solutions as antivirus, according to RT report. Anonymous hacktivists have breached the North Korean news website (Uriminzokkiri.com) and defaced it, the hackers also took control of the Twitter account and Flickr pages. The security breach came after the hackers claimed to have compromised 15k user data of Uriminzokkiri. Few days back, they leaked the part of compromised data that contains email address, password. Recently, they leaked 9001 records from Uriminzokkiri (pastebin.com/4g44jfNF). The main site is offline at the time of writing, but the hacker still has access to the Twitter and Flickr account. The hackers have tweeted the list of hacked sites in Twitter and have uploaded four pictures in Flickr. They have also defaced few websites with a wanted poster where Kim Jong Un was drawn as a pig. "Threatening world peace with ICBMs and Nuclear weapons. Wasting money while his people starve to death. Concentration Camps and the worst human rights violation in the world." hacktivists mentioned in the poster as a list of crimes made by Kim Jong Un. We can refer this week as Twitter account hack week. 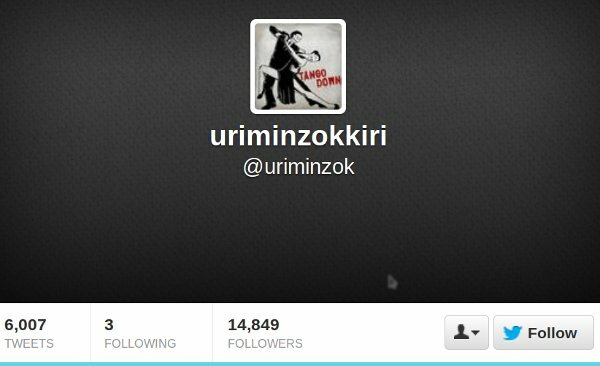 Following the high profile twitter account hack, now twitter account of a hacker also hijacked by hackers. A Hacker group called as Rustle League has hijacked @Anon_Central, Twitter account belong to one of the Anonymous hacktivist that has more than 160k followers. "The reason Anonymous fell victim is probably human weakness," BBC cited as Graham Cluley saying, senior consultant at security firm Sophos. "Chances are that they followed poor password practices, like using the same password in multiple places or choosing a password that was easy to crack. In response to the numerous account compromises, Twitter has issued a “friendly reminder about password security” in which they advise users to follow four important rules to make sure their accounts aren’t hacked. The Anonymous hacker collective from Argentina launched Distributed-denial-of-service(DDOS) attack against the INDEC national statistics website in protests of the recently released official inflation rate numbers. “We have left the INDEC out of service and it will remain like this for a while. Is this a joke? People can eat with $5.50 now, when it used to be $6?”, the tweet reads. 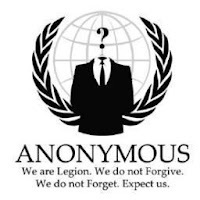 "indec.gov.ar controlled by # Anonymous Admins Messrs. happens both in super slow with $ 5.50 to buy # OpArgentina" The tweet reads. "INDEC cont lying now say their site works xD oops.! Control is by # Anonymous # SinLideres We are the voice of the people we are Legion" The recent tweet from hacker reads. According to hacker tweets, they have launched ddos attack against few other Government websites including Ministry of Economy and Finance of Argentina(mecon.gov.ar), Ministry of Defence(mindef.gov.ar). At the time of writing , the INDEC websites is still down. Anonymous hackers have leaked a 1.41 GB archive allegedly containing file stolen from German Chamber of Commerce (AHK.DE). According to hacktivists statement, 2.7 Gigabyte of internal documents has been stolen from AHK office in Ukraine and Azerbaijan all from the personal computers of delegate of German economy in Ukraine, Alexander Marcus and his wife - Russian citizen and also FSB operative. 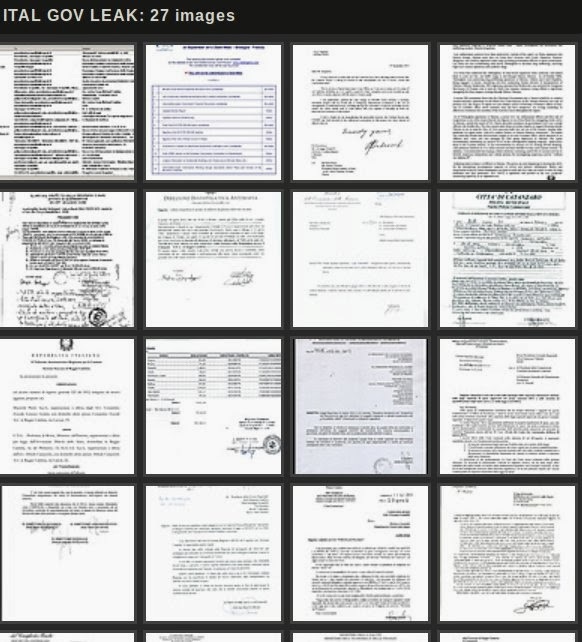 The hackers have published a preview of the leaked data which contains a number of 65 images representing scanned copies of various documents and identification papers. "AHK is a type of organization which does lobby business processes in many countries while gathers intel on many business entities worldwide. " The hacktivist said in the leak. "Just like in presented release of Ukraine and Azerbaijan offices of AHK - we can find internal info which AHK is not suppose to have in a first place - internal documents and financial reports and confidential agreements of Bahar Energy and SOCAR (Azerbaijan), Ministry of Internal Affairs of Ukraine etc.